For other uses of "homology", see Homology (disambiguation). 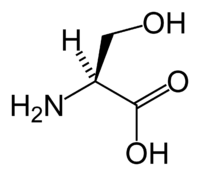 2−, a peptide residue, etc. A homolog is a special case of an analog. Examples are alkanes and compounds with alkyl side chains of different length (the repeating unit being a methylene group -CH2-). On the periodic table, homologous elements share many electrochemical properties and appear in the same group (column) of the table. For example, all noble gases are colorless, monatomic gases with very low reactivity. These similarities are due to similar structure in their outer shells of valence electrons. Mendeleev used the prefix eka- for an unknown element below a known one in the same group.